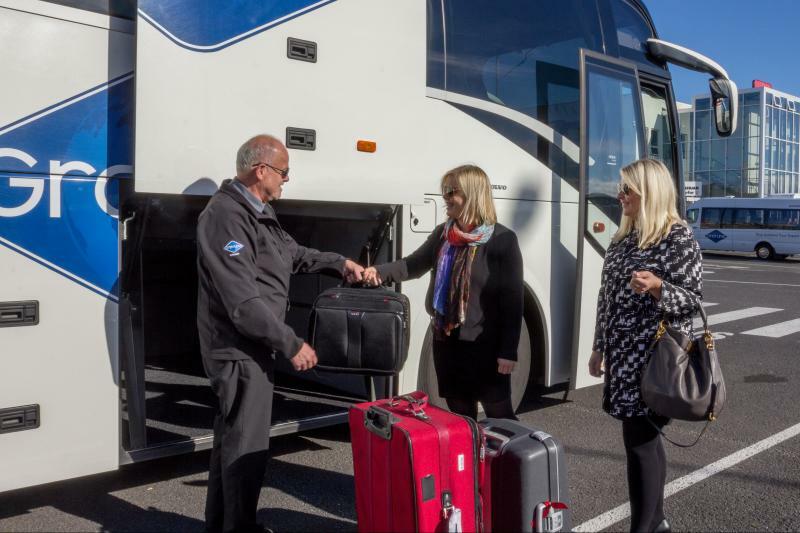 This one way airport transfer takes you from your hotel, guest house or designated bus stop in Reykjavik via Gray Line Bus Terminal at Skarfabakki to Keflavik International Airport where you'll be delivered right outside the door of the terminal building. 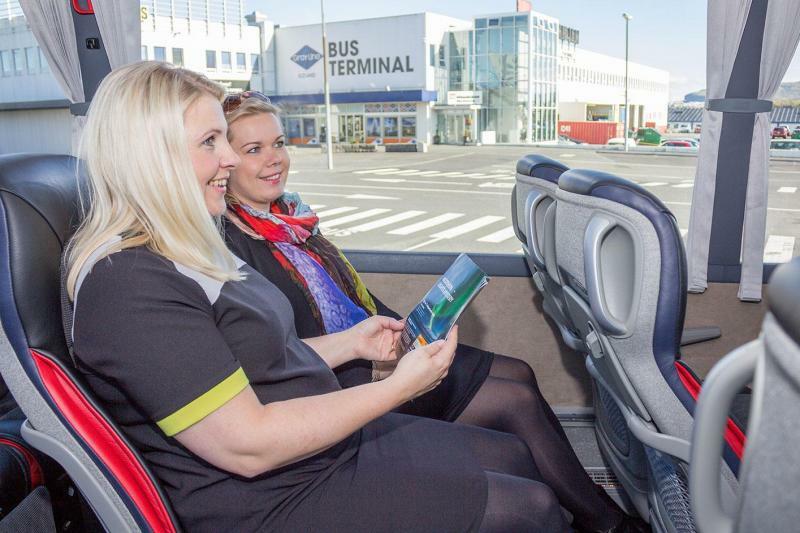 This one-way airport transfer takes you from your hotel, guest house or designated bus stop in Reykjavik via Gray Line Bus Terminal at Skarfabakki to Keflavik International Airport where you’ll be delivered right outside the door of the terminal building. 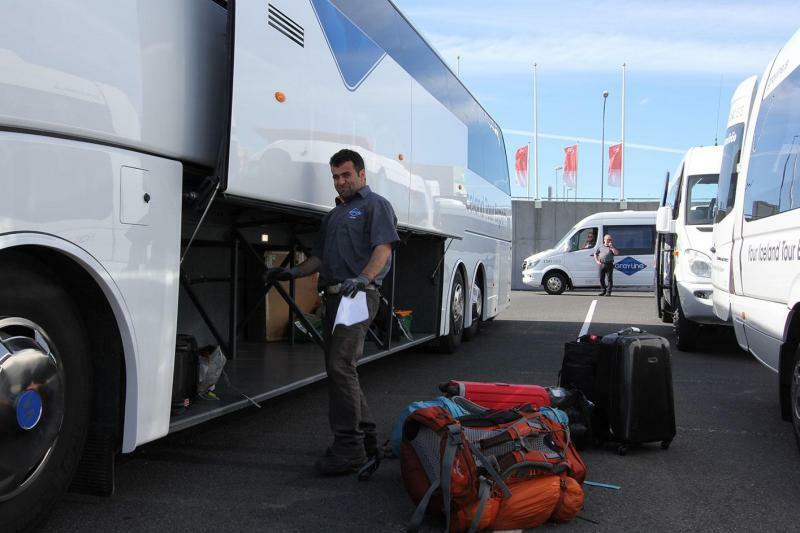 Gray Line Iceland offers one of the largest hotel collection services in Iceland with pick up and drop off for over 100 hotels, guest houses and designated bus stops in Reykjavik and surrounding municipalities. Simply take advantage of our complimentary hotel pick up service by selecting your hotel or guest house from the drop-down list when booking your transfer. 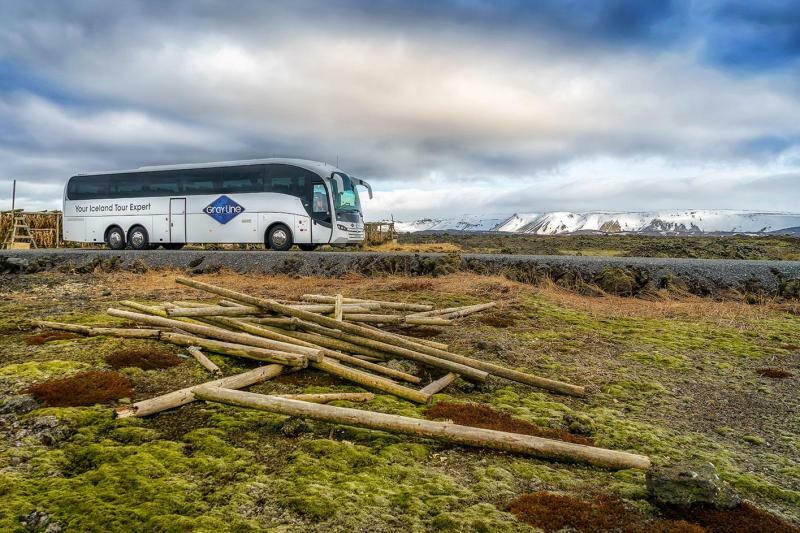 Our pick up coaches collect passengers from over 100 hotels, guesthouses and designated bus stops in Reykjavik. The Gray Line Bus Terminal in Holtagardar is the central departure point for our tours. To help ensure the quickest possible collection we kindly ask you to stand by for pick up in front of your hotel or guest house when pickup begins. Boarding the pickup coach please present a printed copy of your electronic voucher/ticket to the driver. Simple, easy and great service. Just what you need when travelling.